On Oct. 28th, the Girls’ Cross Country Team, along with coach Jennifer Gatewood and assistant coach Ashleigh Wall, traveled to Cabell Midland High School in Ona and placed 9th in the WV State Cross Country Meet. Their team has placed at every meet this season, and they worked really hard to compete in States. 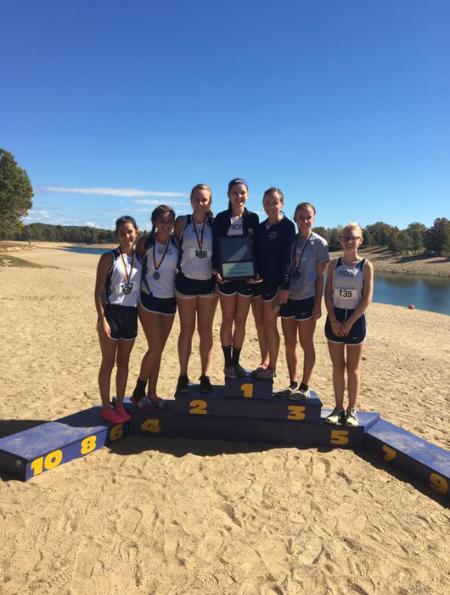 The Girl’s Cross Country team runners are Alyssa Woods, Lucianna Martin, Lacey Beam, Emily Barr, Emily Burkholder, Michaela Odell, and Ashley Nicholas. Their practices were at Salmon Run and Battle Run. They usually had a long run for one day and did track work the rest of the week.